This week I had a little makeup run to Walgreens. Before I went shopping I visited a few blogs to help me pick out which mascara I should buy. The last one I had was the Lorielle Butterfly Mascara which I did a blog post on. It worked pretty good and I liked it. The only thing I ended up really disliking was the awkward brush and the way it flaked off so easily! Midway through the day it seemed like half my mascara was gone. But it was nothing comparison to this one...Are you ready to know what it was that I was so excited but misguided to use?! 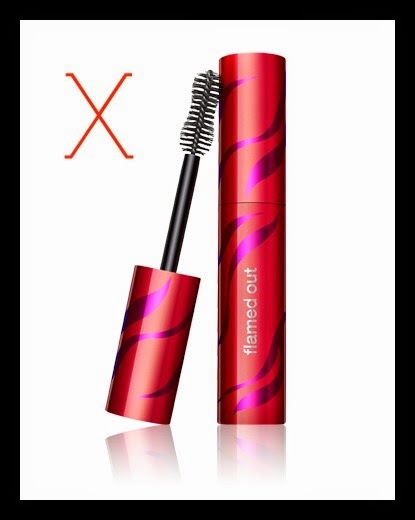 It is the CoverGirl Flammed Out Max Volume Mascara. It looked so promising with it's big curved brush and its massive tube. The pretty red and pink flames beckoning me in, daring me to try. No. I was so disappointed this morning when I put it on! First of all, the brush is weird. It is big and round on both ends and the middle is really thin. Which makes it hard to brush through your lashes. I don't know if the formula works well or not because I could hardly get it on my lashes. I brushed top and bottom over and over trying to apply the mascara but it seemed like nothing was going on..I ended up applying my old mascara over it and that helped for sure. But I would definitely recommend you Do Not get this one...Unless you want a seriously natural look.